“La Serrania Retreat was heavenly. The location and house were lovely and the food was healthy and delicious. The best part of the week though was undoubtedly the treatments, massages and reflexology, given by Claire and Pru and the twice daily yoga and meditation sessions in the spacious open studio, or out under the stars. Claire Latimir, is a highly informed and sensitive healer, the wealth of knowledge and menu of different practices she brings with her are highly effective. Claire's support is immense and, over the 7 Years I've been lucky enough to know Claire, she has helped me through some really tough times, I am forever grateful. “I loved the retreat in Villa Harmonia. Claire and Debbie are such amazing healers and created such a pampering, relaxing environment, I feel completely rejuvenated. It was great to have a structure to the day — to start doing yoga as the sun was rising was so perfect… but it was also lovely to be able to opt in and out of the different activities, depending on your mood. It was also such a beautiful place, both the location and the villa itself. It was perfect to be in the mountains — very grounding. In fact, that's a really good summary, I feel very grounded and reconnected, thanks to the retreat. Go on, treat yourself today, it's easy! are available for ½ hr, 1 hr or 1½ hours. make wonderful presents! Gift vouchers available. in my therapy room cost £45+ for 1 hour. Claire also makes customised aromatherapy products: Shower Gels, Body Balms, Bath and Body Oils, Creams, Lotions and Sprays—all personally made for you. Contact Claire for further details. Yoga classes at Henllys Coach House, Llandovery SA20 0EW. Small friendly classes in our beautiful new studio. All ages and yoga experience welcome. Yoga has a multitude of physical and mental benefits… Come and try it for yourself! Please call or email me before your first class or if you have any questions. Mats provided. Just wear comfy clothes. £6 drop in session / £5 retired or student, £30 course of 6 sessions / £27 retired or student. Hope to see you soon. Morning Yoga on arrival 10–11am. Afterwards relax in our sunny courtyard or enjoy a guided walk round our beautiful lake and woods. Delicious healthy buffet lunch, plus drinks and refreshments throughout the day. 40 minute Holistic Treatment of your choice including: Aromatherapy Massage, Reflexology, Sports/ deep tissue massage, Healing/Reiki, Hot stone massage, Hopi Candles, Seated chair massage, Belabacci cupping massage, Indian Head Massage, Facial Rejuvenation. More treatments available to purchase if wanted. Afternoon meditation and relaxation session. Use of Surge of Chi passive exerciser machine which stimulates the energy flow throughout the body and energy field and our new infrared sauna which is a great way of detoxifying the body, relieving aches, pains, muscle stiffness and tension. Come and join us for a fabulous day recharging of the mind and body. Everyone welcome. Spaces are very limited so book ASAP to reserve your place. First come first served! £65 per person. An amazing new massage technique using silicone cups which is a highly effective lymphatic drainage and deep tissue treatment. Based on the ancient Chinese medicine belief that illness stems from stagnation and inflammation, cupping uses a suction or 'vacuum' to lift up the skin, muscle and fascia to increase the circulation, break down congestion and release knotted muscles and toxins out of the body. The cups can be used anywhere on the face and body and you can see and feel a deeply relaxing lifting and tingling sensation. Massage using a specifically blended essential oils to recharge or relax the mind and body. Massage works in many wonderful ways—releasing muscular tension, increasing circulation and toning the muscles. It's great for fluid retention and sluggishness. Why not try a ‘detox’ massage—the treatment starts with a skin brush to get rid of dead skin cells and boost the blood and lymphatic system followed by a massage using highly effective detoxifying oils. A great complement to a health regime! Massage and reflexology during this special time not only nurtures the mum to be but also increases endorphins (the feel good hormones) and blood to the growing baby. It also helps create a unique and special bond and connection with the baby. Prenatal treatments can help with heavy swollen legs and feet, relax tight muscles and alleviate uncomfortable aches and pains as the body changes shape and size. The Aromatherapy oils help skin keeps it elasticity minimising stretch marks. It can help increase energy levels and prepare the mum for child birth in a calm, positive way. These treatments are wonderfully relaxing and recharging. A much deserved and needed time out! These classes can be tailored for individuals or small groups so that greater flexibility, core strength and fitness can be addressed. Any level of ability or experience can be catered for. Yoga is about having fun, learning correct asanas (postures),breathing and relaxation techniques and leaving feeling fully revitalised and re-energised. A wonderful treatment which is incredibly relaxing. Warm stones are used to massage the body and placed on the body. Excellent for physical and emotional stress. Particularly great in winter or when the body has been feeling deficient or suffered immune problems. This treatment focuses on the head, neck and shoulders and can be done with or without oils. The client sits fully clothed in a chair. Firm and invigorating techniques are used to release muscular tension and energise the upper part of the body. The client relaxes under warm blankets while the therapist gently places her hands on and over the body. This treatment helps release physical and emotional blocks. The person may feel tingling and a deep sense of relaxation and well-being. Considered to be as rejuvenating as a good nights sleep! A light electrical current passes through a bath of salt water in which your feet are immersed. As the treatment progresses, the water changes colour as the body releases toxins through the feet. This treatment has scientifically been proven to help make the body more alkaline and release toxins from the cells. Great for clearing the head and mind and helping kick start a health regime. A course of treatments is recommended but you will see and feel the difference even after one treatment. An excellent treatment to combine with Reflexology. This treatment specifically focuses on the face and head. Using pressure point techniques with or without aromatherapy oils. It is excellent for plumping up sagging muscles and releasing tension which builds up in the muscles—particularly in the forehead, under the eyes and jaw. After the session you will look as refreshed and as bright as you feel! A deeply relaxing treatment on the feet. Each part of the foot is related to a part of the body, each part of the foot or ‘reflex point’ is gently massaged to help remove blockages from the body and restore balance. This treatment works deeply on specific areas of the body and helps release knotted muscles and tension. A fantastic treatment, done through clothes and on a specially designed chair. Invigorating and relaxing. A fast and effective fix to release knotted muscles. I am delighted to say that Holistic Heaven has relocated to the beautiful Brecon Beacons. Our grade 2 listed home (which was recently awarded 4 stars) has 5 luxurious en suite guest rooms and over 30 acres of woods, a lake and nature reserve to explore and enjoy. There are stunning views of the distant mountains and it really is a warm and inviting place to become rejuvenated and inspired. So whether you want to come and relax and do your own thing or enjoy all we have to offer, our aim is to give you a really wonderful restorative and holistic experience with many wonderful memories to take home. I will be offering all my usual treatments and yoga sessions - in the summer we can be outside under the trees in the woods or by the lake. We have recently completed our new fantastic purpose built Yoga Studio and treatment room inside one of our barns. There is an ancient woodland walk which takes you through the woods and is a truly fantastic escape from the outside world. It is private and uninterrupted and allows all stresses and tensions to melt away. We can offer customised weekends or weeks away from simple bed and breakfast to full board Retreats. We can provide picnics, lunches and evening meals. We have mountain bikes to lend and there is nearby horse riding , fishing and golf which we can help arrange. Everyone is welcome! We are delighted to be holding our 2019 Retreats at Henllys Estate, Llandovery, Wales. Come and enjoy a fabulous 2 or 3 night weekend of yoga, holistic treatments, walks, evening relaxation sessions and delicious healthy food. We also offer inspiring and interactive afternoon holistic workshops, learning tools to take home and giving and receiving a simple but wonderful treatment to enjoy with family and friends. Workshop themes include reflexology,Indian head and face massage, meditation and aromatherapy essential oils and massage. Henllys is a perfect location to get away from the hustle and bustle of every day life. We rarely have the time to give back to ourselves and restore our selves on a deep level. These weekends give us this opportunity. We can go for woodland walks and do yoga in our nature reserve or by the lake and go for walks in local areas of outstanding natural beauty. Or you can simply relax and find space and time to chill out with peace and quiet. Whatever you want to gain from these weekends, you will leave feeling fully recharged and revitalised. What makes these retreats unique is that they are customised to suit your wishes and enjoyments. We can tailor the activities and weekends to what you would really love to do. Each yoga session focuses on you and your particular needs. We deliberately keep the retreats small, personal and welcoming and particularly enjoy seeing out guests return again and again. We are delighted to offer our Yoga studio and treatment room for hire for yoga teachers, therapists and other complementary health practitioners who would like to hire the venue and/or our accommodation on an hourly or retreat weekend/week basis. Everyone is welcome — come on your own or bring a friend. You don't need to have done any yoga before to enjoy the weekend. All activities are optional. We have 5 en suite rooms in our grade 2 listed guest accommodation. Space is very limited so book today! All meals and drinks, snacks and afternoon tea, accommodation, daily yoga and meditation/relaxation classes, a guided walk through our beautiful grounds — around the lake and through the woods and nature reserve, a 60 minute holistic treatment of your choice (more treatments available to purchase if desired) and an optional holistic workshop. Please contact me to book your place or if you have further questions. You can find more information about Henllys Estate at henllysestate.co.uk. Rosyth Estate is a fabulous boutique hotel in the Central Highlands of Sri Lanka. Formerly a historic colonial tea planters house, Neil and Farzana Dobbs provide a luxurious and welcoming hospitality on their stunning 64 acre estate. Surrounded by nature, spices, temples, lush forests, mountains, caves… this is Sri Lanka at its most authentic and alluring. We all meet up the night before the Retreat starts — to settle in and unwind. It is recommended you arrive in the country a few days before to fully acclimatise so you are ready for the week ahead. Morning starts with warm water and fresh lime juice to cleanse the body followed by gentle yoga. Food throughout the week is delicious, healthy vegetarian and cooked and prepared by professional chefs. During the day, there is plenty of time for an Ayurvedic treatment (2 are included in your Retreat) in the Spa pavilion, reading a book from the extensive library, swim in the pool, go for a walk or enjoy a local sightseeing excursion. Everything is optional, you can do as little or as much as you like. How wonderful to have time to listen to your soul away from our everyday hustle and bustle. This stillness outside and all around us allows us to go deeper inside and feel that inner peace and wellbeing. This Retreat is about inner and outer exploration of this beautiful country — you might like to enjoy a visit to a temple, the world famous elephant orphanage, tea factory, local markets, try the Sri Lankan cookery class — all these are included in this inspiring Retreat. In the shade of late afternoon, there is yoga and mindfulness/meditation. You might like to participate in my Holistic workshop, learning simple but effective tools to take home with you — discovering and keeping those changes within you on this transformational adventure. I will be bringing my gorgeous chakra sprays and aromatherapy oils to share though out the week. After dinner, Candlelit relaxation sessions bring a wonderful day to a close. On the last night, there will be a special celebratory Gala dinner to enjoy. I do hope you will come and join us on this fantastic magical journey to rediscover yourself. I have been a Yoga teacher and Holistic Practitioner for over 20 years. Running Retreats at home and abroad has always been a passion, sharing what I love doing. My Holistic Heaven Retreats are about being nurtured, nourished, experiencing deep relaxation and recharging of the soul and spirit. They are small, friendly and personal. If you would like to book flights and transfers and stay in Sri Lanka before or after the Retreat, this can be booked direct with Farzana. She has a wealth of knowledge on Sri Lanka. 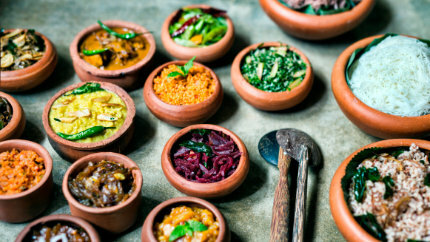 6 days Full board including drinks, 2 Ayurvedic holistic massages, guided walks and local excursions, Sri Lankan cookery class, all yoga and meditation sessions and a Holistic workshop. Please email or call me for prices of single or shared occupancy rooms. This Retreat is limited to 10 places so book your place as soon as possible! To confirm your place please send a non refundable deposit for £100. Contact Claire to secure your place. At Holistic Heaven we offer wonderful, bespoke weekends and weeks away in the UK and abroad. Inspiring, luxurious locations and venues. You tell us the date and what you would like and we organise the rest! Perhaps you have a special birthday or celebration or just want a chill out weekend away with a few select family members or friends… leave it all in our experienced, capable hands! We sort out everything from accommodation and transfers to cooking delicious healthy menus which you choose. You might like to enjoy blissful yoga or candlelit meditation sessions, have a wide range of holistic treatments or simple chill out and escape the busy stressful world. In 1996 after completing her BA Hons degree in World Religions at University, Claire studied and became a Complementary Therapist. Her training initially took her to the Tisserand Institute—a renowned Aromatherapy College in London. After working at the Sanctuary in Covent Garden for 2 years, Claire became a busy and successful freelance practitioner in London. She was able to combine her passion of work with a love of travel and exploring different cultures. In 2001 Claire travelled round the world, settling in Australia for almost a year. Her travels took her to Tibet, Nepal, Burma, Cambodia, Thailand and Indonesia. In Thailand Claire enjoyed living in a hill tribe village and studying Thai yoga massage. Other training and qualifications include: Reflexology, Healing and Reiki Master, Hot Stone Massage, Indian Head Massage, Aquadetox, Hopi Ear Candles and Facial Rejuvenation Massage. Claire also attended Obsidian College run by Lee Everett for 4 years and attained a Diploma as a Healer Counsellor. In 2003 Claire became a fully qualified yoga teacher having trained at the Sivananda Yoga Centre in the Bahamas. Claire is particularly enthusiastic about running Holistic retreats abroad. In September 2007, Claire and her partner Richie began running their own successful retreats at home and abroad. In April 2009 Claire completed an Advanced Diploma in Oriental Aromatherapy, combining Aromatherapy with Traditional Chinese Medicine and the 5 elements with Gabriel Mojay at The Institute for Traditional Herbal Medicine and Aromatherapy (ITHMA). Claire is fully insured, is a member of the The International Federation of Professional Aromatherapists (IFPA). Today Claire enjoys her work as a Practitioner and life as a wife and mother to Ollie and Theo. Claire has a treatment room at home and enjoys her yoga studio in Wales. Her outside interests have included sky diving in New Zealand and climbing Mount Kilimanjaro. Her treatments are about using her intuition combined with her years of experience and her skills as a therapist. Treating each person as a unique individual that will best restore energy and balance to the mind, body and spirit. She believes in being gentle and nurturing and working from the heart. Her Yoga classes are aimed to empower and give clients tools to use in every day life to gain greater understanding of the mind and body and achieve greater health and well-being. Personal Development and spiritual growth are very much at the heart of Claire's philosophy. Claire and her family found their dream home in the Brecon Beacons in Wales in 2015 and have jumped at the exciting adventure of a lifestyle change and relocation. They enjoy welcoming guests to their new home, Henllys Estate, which has 5 en-suite guest rooms and 30 acres of paddocks, woods and a trout lake. An idyllic place to set up Holistic Heaven and run Retreats. Claire really enjoys teaching twice weekly meditation and mindfulness sessions at Llandovery College for the staff and pupils. 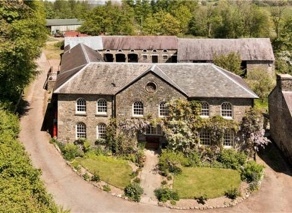 For further information on Henllys Estate please go to www.henllysestate.co.uk or phone 01550 721332. Booking your treatment today couldn't be easier! © Holistic Heaven 2012 • enjoying a Quesmedia Web SOUP!